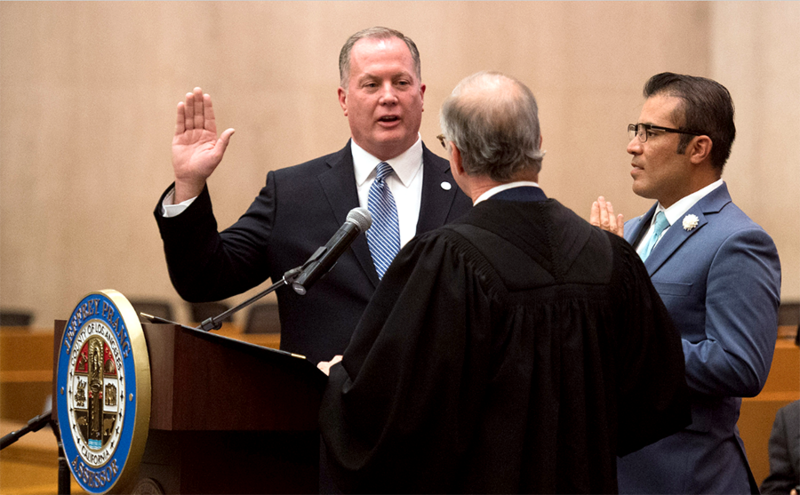 Former West Hollywood Mayor and council member Jeffrey Prang, was sworn in for a second term as the 27th Assessor of Los Angeles County on December 3, 2018. 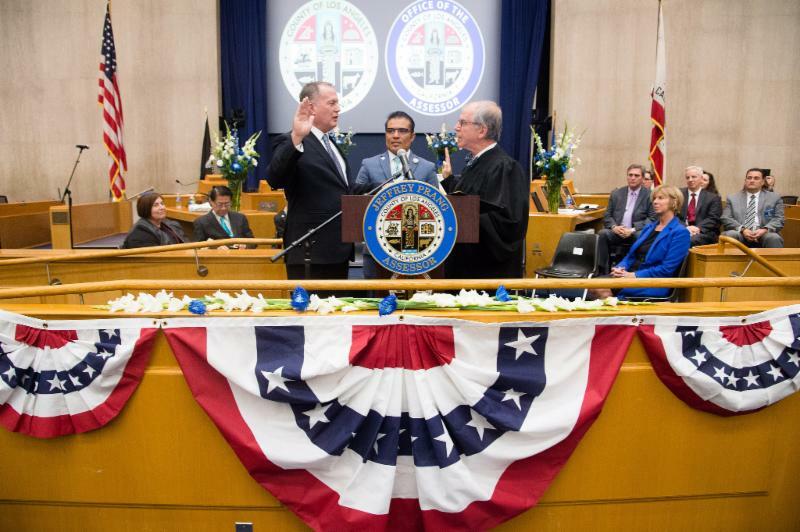 He took an oath before a crowd of more than 500 friends, family, officials, and staff. Prang thanked his staff for their commitment to public service excellence and lauded this year’s record-breaking Assessment Roll value while noting simultaneous savings to a record number of veterans, homeowners, and non-profit organizations. The Oath of Office ceremony at the Kenneth Hahn Hall of Administration was emceed by former State Assembly member Mike Eng. The ceremony also included County Board of Supervisors Chair Janice Hahn, Superior Court Judge Dean Hansell, Rabbi Denise Eger, Abbe Land of the Women and Girls Initiative, and Grammy-nominated singer Jonathan Grier and the Tribe of Judah. Los Angeles County Assessor Jeff Prang leads the largest governmental property assessment agency in the US. His office of 1400 appraisers and support staff are dedicated to creating an accurate and timely assessment roll. In 2018, the Assessor’s Office established values for 2.57 million properties collectively valued at $1.51 trillion. For more information, visit us at assessor.lacounty.gov, call us at 213.974.3211, send emails helpdesk@assessor.lacounty.gov, or connect on social media @LACAssessor.